Christian School, Lansing MI | How Important is Christian Education? Home » How Important is Christian Education for Our Children? Many parents spend countless hours creating an environment that will encourage development in the Christian faith. They may search for an appropriate church, pray that their children will make the right friends, or monitor technology use to eliminate exposure to harmful influences. They may worry that their children will not develop a deep faith or become who God made them to be. What many parents fail to consider is the significant role that school can play in a child’s spiritual growth. Selecting a school that excels in thoroughly integrating faith with a quality academic education is a vital step in helping your child develop both spiritually and academically. School-aged children spend approximately one half of their time awake in school, with additional time spent in after-school activities like sports, music, and other clubs. That means that a lot of what children are influenced by comes from their school environment, especially as children get older and more independent. 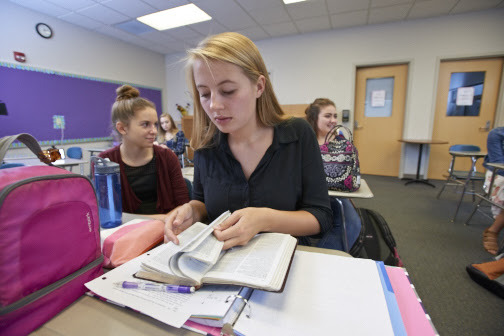 In Biblically-based schools like Lansing Christian School, students are encouraged and challenged to grow closer to the Lord throughout each part of their day. Students have teachers and administrators who are seeking to serve God and others above themselves, and an environment where a Christian worldview is incorporated into everything from English class to field trips. This education philosophy has a huge impact. It makes a significant difference for students who are eager to learn, but in need of strong role models who teach in a way that reflects God’s love. It also makes a significant difference for parents who desire so greatly for their children to begin and grow deeper in a relationship with their Savior. Students at Lansing Christian are equipped to know God and transform the world for Jesus Christ. In addition to incorporating faith into every part of the day, Lansing Christian School offers an academically rigorous, fully accredited education for students from preschool through 12th grade. With 14 competitive sports teams and a variety of music and art offerings, children are also able to discover gifts and passions. One of the most important aspects of Christian education is the creation of a supportive community. Students at Lansing Christian form lifelong bonds with friends who encourage and challenge them in their walk with Christ. Teachers and staff seek to create a space where students can discover their intellects, gifts, and the great adventures to which God’s calling them. 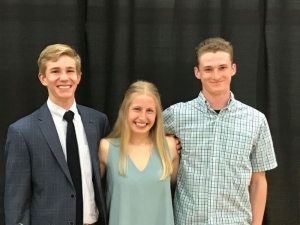 Lansing Christian School students excel academically, and graduates have gone on to study at some of the top colleges and universities in the country, including the University of Chicago, the University of Michigan, and Wheaton College, just to name a few. But the biblical values taught at Lansing Christian School extend far beyond a Christian education in the classroom. Lansing Christian School gives students the tools they need to grow closer to the Lord and to carry their faith in Jesus into the real world after high school and college. Students develop a desire to work hard and lead others with excellence, humility, and the love of Jesus in their future colleges, their future careers, and their own future families. 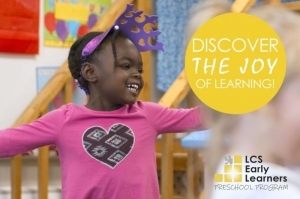 To discover how we can provide a quality school environment that helps your child grow in faith and learning, schedule a tour of Lansing Christian School today.